ManpowerGroup Named "Best Company to Work for Women" in the U.S. | ManpowerGroup Inc.
MILWAUKEE, Feb. 19, 2018 /PRNewswire/ -- ManpowerGroup (NYSE: MAN) has been named one of the 2018 "Best Companies to Work for Women," by the Women's Choice Award (WCA), a leading advocate for females across the U.S. The award recognizes company culture and policies including work-life balance and female representation at every level. "Creating an inclusive environment where women want to work is about more than just policies and percentages," said Becky Frankiewicz, ManpowerGroup North America President. "At ManpowerGroup, we have long been a promoter of inclusion and gender parity in the workplace, so it is a great honor to receive this Women's Choice Award recognition. Organizations that are serious about getting more women into leadership roles and including half the talent in the workforce must go beyond programs and change culture. Change starts from the top and must be championed by male, as well as female leaders. While leaders need to create systemic change, we can all start by doing something different today." "Action has never been more important than now and we take great pride in offering women an objective and uniformed reporting process so they can choose where to work with greater confidence," said Delia Passi, CEO and Founder of the Women's Choice Award. "We recognize that gender discrepancies are very real in the workplace, and knowing we can help women to choose an organization that supports her values is core to our mission. 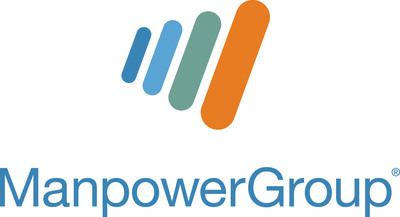 It's an honor to recognize ManpowerGroup as a company that works toward empowering their female employees." The Women's Choice Award for Best Companies to Work For is the only award that reflects the needs and preferences of women based on publicly available data, which aligns with employee and consumer appreciation for corporate transparency. Data was compiled from a variety of publicly available sources and then weighed accordingly for each of the three categories. The Women's Choice Award identifies the brands, products and services that are most recommended and trusted by women. Additionally, they recognize the best companies to work for, based on a survey of women indicating what's most important when searching for a job. Awards are based on surveys of thousands of women, as well as research conducted in partnership with the Wharton School of the University of Pennsylvania. As the leading advocate for female consumers, WomenCertified Inc., home of the Women's Choice Award, created the first national award based on the ratings and preferences of women. Consumers can visit the official website at www.WomensChoiceAward.com to learn more.